Geoff runs Eutah Sprigs with his Rev War rules. | H.A.W.K.S. 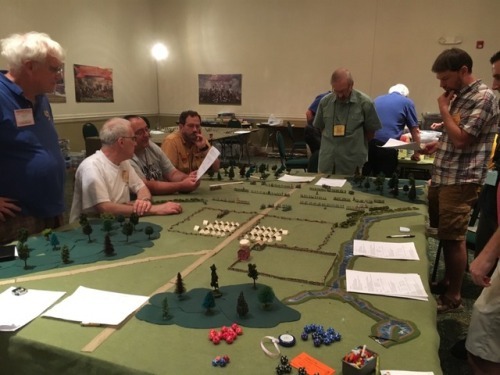 Geoff runs Eutah Sprigs with his Rev War rules.